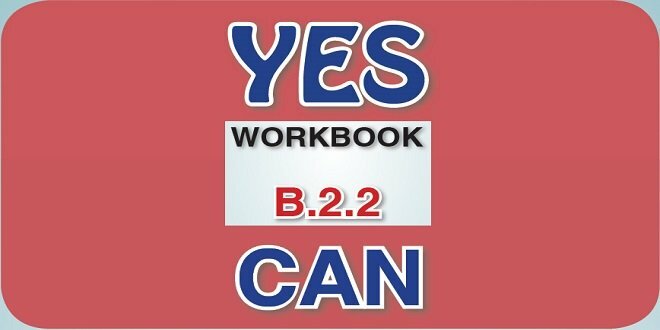 “İngilizce Meb Yayınları Yes You Can B2.2 WorkBook Sayfa 32 Cevapları“nda önce sorular yazıldı daha sonra cevaplar verildi. 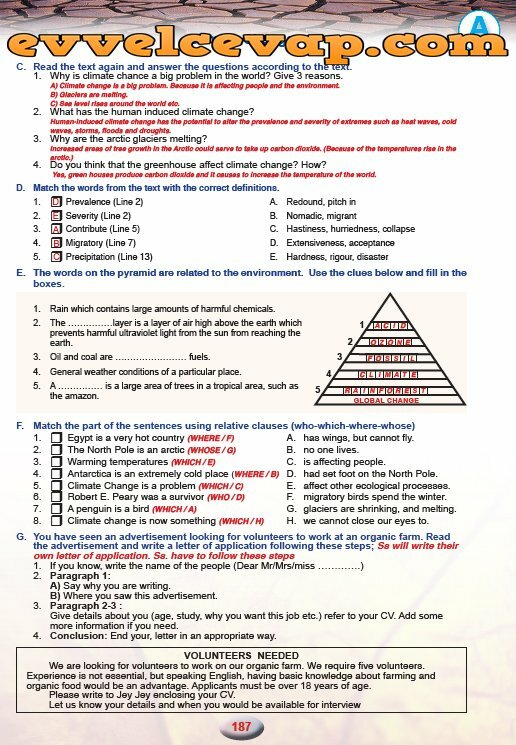 Read the text again and answer the questions according to the text. 1. Why is climate chance a big problem in the world? 2. What has the human induced climate change? 3. Why are the arctic glaciers melting? 4. Do you think that the greenhouse affect climate change? How? D. Match the words from the text with the correct definitions. 1. Rain which contains large amounts of harmful chemicals. the earth which prevents harmful ultraviolet light from the sun from reaching the earth. 3. Oil and coal are……………………….fuels. 4. General weather conditions of a particular place. area, such as the amazon. has wings, but cannot fly. had set foot on the North Pole. migratory birds spend the winter. we cannot close our eyes to. 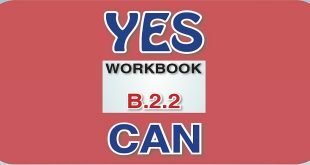 A) Say why you are writing. B) Where you saw this advertisement. Give details about you (age, study, why you want this job etc.) refer to your CV. Add some more information if you need. 4. Conclusion: End your, letter in an appropriate way. We are looking for volunteers to work on our organic farm. We require five volunteers. Experience is not essential, but speaking English, having basic knowledge about farming and organic food would be an advantage. Applicants must be over 18 years of age. Please write to Jerry Khan enclosing your CV.